for a stake in AC Energy’s thermal platform in the Philippines. 26 September 2018 | Manila, Philippines – Aboitiz Power Corporation (AboitizPower) entered into a share purchase agreement with Arlington Mariveles Netherlands Holding BV, an affiliate of AC Energy, Inc. (AC Energy), and a shareholders’ agreement with AC Energy, a wholly- owned subsidiary of Ayala Corporation, for the proposed acquisition of a 49% voting stake and 60% economic stake in AA Thermal, Inc., AC Energy’s thermal platform in the Philippines (the Transaction). Closing of the Transaction is subject to the satisfaction of certain conditions precedent, including the approval by the Philippine Competition Commission. The Transaction was valued at USD 579.2 million. AA Thermal’s assets initially consist of AC Energy’s limited partnership interests in GNPower Mariveles Coal Plant Ltd. Co., the owner and operator of an operating 2×316 MW coal plant in Mariveles, Bataan (the Mariveles Project), and in GNPower Dinginin Ltd. Co., the developer and owner of a 2×668 MW supercritical coal plant project in Dinginin, Bataan (the Dinginin Project), which is currently under construction. The agreement will increase AboitizPower’s beneficial ownership in the Mariveles Project to 78.325%, and in the Dinginin Project to 70%. The Mariveles Project has been operating since 2013, while the first unit of the Dinginin Project is scheduled to go online in 2019. “AboitizPower is committed to addressing the country’s energy trilemma of adequate supply, cost of power, and protection of the environment. This is part of our strategy to reach our 4,000-MW net attributable capacity by 2020 through our balanced mix strategy. We are happy to be partners with the Ayala Group as we both seek to fulfill the energy needs of the country,” AboitizPower Chief Operating Officer Emmanuel V. Rubio said. 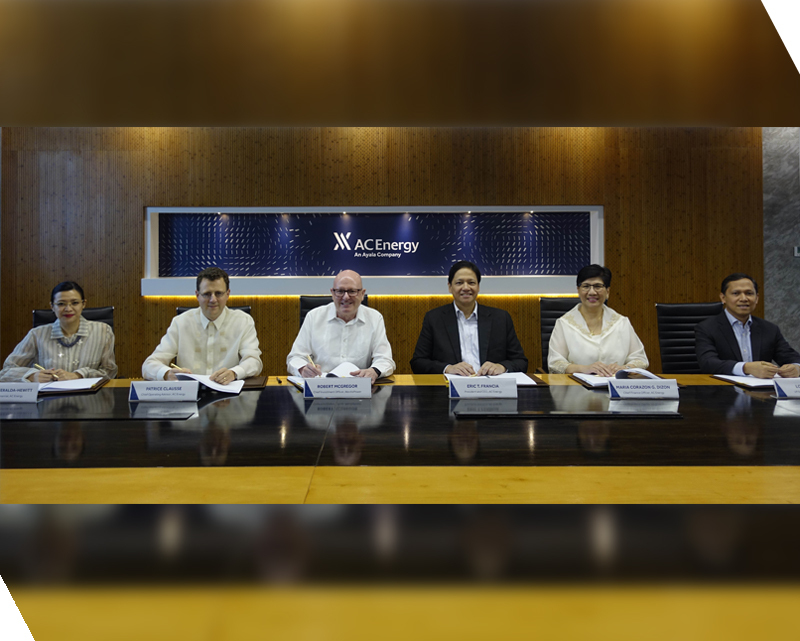 “We are delighted to further strengthen our partnership with the Aboitiz group and we look forward to jointly pursue more opportunities in the future,” according to AC Energy President and CEO Eric T. Francia. “This transaction enables AC Energy to balance its portfolio and provides capital for our growth initiatives, including our renewable energy projects,” he added. ING Bank N.V. acted as Lead Financial Advisor to AC Energy. BPI Capital also acted as Financial Advisor, providing transaction support to AC Energy. Standard Chartered Bank acted as Sole Financial Advisor to AboitizPower.